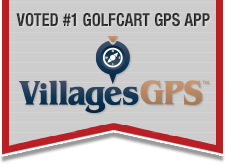 Views: 20,814 Announcement: Golf Cart Expert Help is Here! Are There Website That Donate Airline Miles So People Can Get Surgery For Their Pets? My two super loving kitties need to be rehomed - can you help? "Solitary Man" Neil Diamond Tribute Benefit Concert Tickets on Sale Now! URGENT: Can anyone foster a senior dachshund? She "drank the Kool aid" NOW is here to stay! Need Feedback about Doggy Doors! Dog park up by 42 in Marion County?